Before Herman Cain even uttered the words “today I am suspending my presidential campaign” his team had established The Cain Solutions website. 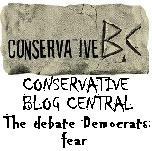 The site is a quick transition from being Candidate Cain to being Citizen Reformer Cain. With TheCainSolutions.com, Herman Cain promises to lead the way to some of the most important and sweeping reforms in our nation’s history, including his 9-9-9 tax reform plan and initiatives to achieve American energy independence. 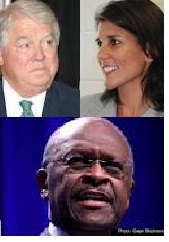 With The Cain Solutions, Herman Cain has the chance to remain a significant political force. For how long is not clear, but at least for now, The Cain Solutions.com provides Herman with a good way to transition from the fast paced life of his presidential life and back to life as Citizen Cain. Herman Cain is about to appear on the television screens Iowans via his first television ad which will air throughoutr the state on Fox News Channel. Below is a version of that. While web version is nearly two minutes, the televuison version will be 60 seconds long. The ad shows the Des Moines skyline along with scenes of the Iowa Capitol and the Iowa Supreme Court, harvesting corn and a dog running in a field. In it three farmers talk about overregulation by the EPA and the costs that comes with compliance of all those regulations. Then the ad utilizes Dean Kleckner, who was president of the Iowa Farm Bureau for 10 years and president of the American Farm Bureau Federation 14 years. Kleckner, endorsed Cain last weekand has influence with many in the farming community. While the ad is good, it doesn’t quite reach the point of sale among voters that I believe Cain really needs to seal the deal. And it certainly is not in any way inspiring. All in all, it is a decent introductory piece, but if C ain wants to really convince voters to go with him, he has to come up with much more than this. Since Herman Cain has spent the last two weeks towards the front of the pack in the G.O.P. presidential field, many people have begun to take notice of him. And they like what they see. His rise from the bottom tier to top tier of candidates has also given many who liked Cain, but thought it impossible for him to get anywhere, reason to now jump on the Herman Cain bandwagon, or at least good reason to seriously consider doing so. But with this new-found popularity, and his new image as a threat to previous frontrunners, now makes Herman Cain a target. 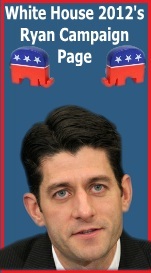 Up to now his Republican opponents have had no reason to go after Cain. Instead, because he has always been a likeable guy, many of those running against Cain, spared him from any negative attacks on his positions. The thinking was, he’s a nice guy who people like and is not standing between them and the GOP presidential nomination, so why go after him and risk turning off his supporters. That has all changed now. 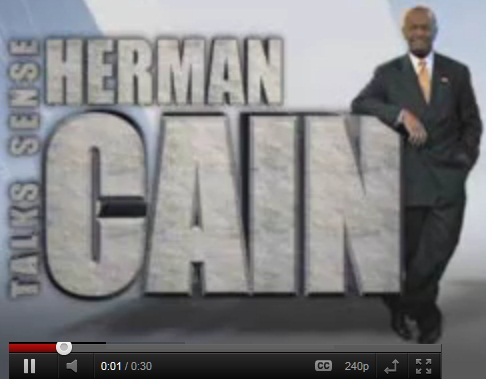 Still, no matter what, Herman Cain is the candidate whom people most like a person. As such, to go after him on anything but the issues, would backfire on them. They can’t really attack Cain for not having held elected office. That is something that people like about him and which Cain could easily turnaround and use against those who want to harp on his lack of experience as a Washington, D.C. politician. So trying to take Herman Cain down is something that the other candidates must be careful about. At the same time, Herman Cain has to now be able to hold up to the scrutiny that comes with his frontrunner status. He will have to demonstrate that he has a better knowledge of foreign affairs and is well equipped to go toe to toe with people like Vladimir Putin or Mahmoud Abbas, and control the room. He must show that he is capable of not playing second fiddle even when sitting along side of allies like Angela Merkel, David Cameron, Benjamin Netanyahu or Nicolas Sarkozy others. None of this is impossible for Cain to do. It can all be achieved. But to do so, he will have to begin to raise substantially more money than he has had up to now and he is going to have to start picking up some of the top Republican strategists and Party insiders in the nation. One may think that doing so would undermine one of Cain’s greatest attributes, his lack of participation in Party politics and political games. However, the Republican Party and the process that you go through to become its nominee is undeniably political. It involves a political Party in a process that is essentially run by politicians. So avoiding the politics behind it all is just not realistic. It would be like trying to play baseball with a Jai Lai cesta. It just doesn’t work. So far Herman Cain has still not relied on a campaign staff that has the knowledge, and experience needed in a presidential election. He doesn’t even have those well placed political connections that can provide him with some of the ins and outs of of Party politics and help him cut through some of the political red tape. Cain is now aware of all that. He learned that when in 2004, he ran for U.S. Senate in Georgia. He found himself in a three way primary against incumbent Congressmen Johnny Isakson and Mac Collins, In that race, Isaksaon was largely the Romney-like candidate, He was seen as the moderate. But Cain and Collins were the two conservatives opposing him. Cain and Collins both hoped to deny Isakson a majority on primary day in order to force him into a two man runoff with one or the other. During the campaign, Mac Collins tried to paint Cain as a moderate, accusing him of having supported affirmative action programs. For his part Cain argued that he was a conservative and noted that he opposed the legality of abortion except when the mother’s life is threatened. On the day of the primary Cain finished a distant second to Johnny Isakson who pulled overe 50%, thereby avoiding a runoff. The final results were Isakson won 53.2%, Cain 26.2%, Collins 20.6%. Now, in 2011, those senate primary vote totals tell a story that is quite similiar to the problem that we see for conservatives in the Republican presidential contest. The division of the conservative vote among several candidates, including Herman Cain, has so far allowed Mitt Romney, the perceived moderate in the field, to find himself with a slim majority of Republican support. Now in addition to the benefit that provides Romney , we find out that working for Mitt Romney is strategist Stuart Stevens who was a consultant to Johnny Isakson during that same 2004 senate primary which beat Cain. 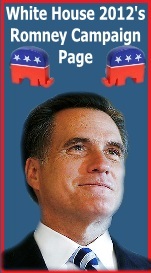 How much of advantage that will give Romney if Herman Cain continues to give Mitt a run for his money, is still unknown. But Stuart Stevens knows one thing. Never underestimate Herman Cain. He tells The Atlantic, “He scared the heck out of us”. Realizing that means that Mitt Romney has a strategist who will not make the mistake of underestimating Herman Cain. But Herman Cain also walked away from his 2004 primary with some important lessons learned. One of them was that if he was going to run for President, he was going to have to get in the race early. One of the reasons Cain feels he lost the 2004 primary was because he entered that race late. Meanwhile, the firm that Romney strategist Stuart Stevens represents, SSG consulting, lists the 2004 race that they ran to defeat Cain with, as case study. HISTORY: Johnny Isakson is a long-time client – we worked to elect him to Congress during the 1999 special election. CHALLENGE: Beat two candidates in Primary and win by 50% to satisfy state’s threshold requirement. Go on to win general election. 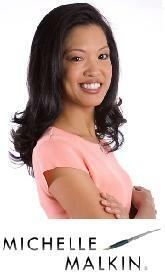 STRUCTURE: Develop strategic plan based on financial discipline. Do not answer every charge. Let opponents spend money on air and hold off on television advertising. Strike at high volume before primary to boost numbers, position as the conservative choice – keep opponents at bay to win over 50% of vote to avoid run-off. EXECUTE: Isakson wins the primary with 51% of the vote, avoiding a runoff. He goes on to win the general election with 58% of the vote – the largest margin ever for a Republican in Georgia. In 2004, Herman Cain came out of nowhere in the Georgia Senate primary and made a name for himself as a true conservative leader in Georgia. He was a virtual unknown who wound up challenging two incumbent Congressmen, beat one of them, and gave the other a surprising scare. So far, he’s repeating his better than expectedelectoral performance . But now he must he must somehow do what he could not do in the 2004 primary…….. consolidate all of the conservative vote. Below is a look at he tried to do that in 2004 when he ran a series of ads that touted what he called his message……… Common sense. In a recent interview with CNN’s Wolf Blitzer [see interview below this post], Herman Cain offers an honest personal assessment of the voting habits of African-Americans and by claiming that many African-Americans have been brainwashed. In the same interview, he provides an opinion of the two men who Cain now shares frontrunner status with …………………. Mitt Romney and Rick Perry. In the first question thrown at Cain by Wolf Blitzer, the CNN political host asked Cain why the G.O.P. is poison to so many African-Americans. Never one to mince words, Cain told Blitzer that such a view is held by many fellow African-Americans because they “have been brainwashed into not being open minded and not even considering a conservative point of view”. Cain goes on to explain that he has had experienced this first hand. Reacting to the claim, Wolf Blitzer pretended to be shocked and gave Cain an opportunity to walk his statement back after telling Cain that “brainwashed” is a strong word to use in reference to fellow members of the black community. Yet Herman Cain held firm and reinforced his charge by stating that as many as 2/3 of the blacks are brainwashed. But Cain did say that the good news was that 1/3 to 1/2 of them are beginning to think for themselves and to think that all African-Americans will simply keep voting for Democrats is untrue. He added that he is convinced that he would able to garner as much as a third of the black vote and not because he is black, but because of his policies and their belief in his ability to fix the economy. “Not only are we not brainwashed, we know how to act in our own best interest. That`s why most of us are Democrats. Who in their right mind, African-American, would belong to a Party that is as mean-spirited as we see coming out of the Republican Party. What Mrs. Waters left out was that through the application of the close-minded liberal policies of her and her Party, the African-American community is suffering the most. Under the Obama Administration and Mrs. Waters’ leadership in Congress, in addition to a disproportionate amount of African-Americans living at or below the poverty level, the overall poverty level in the nation has risen to its highest levels in decades. And when it comes to unemployment in America, in the month of September, Mrs. Waters’ policies have helped to achieve a disparity between Caucasian and African-American unemployment rates that is more than 50% higher for blacks than whites. we can get in terms of good public policy for everybody and for African-Americans” what she is actually saying is that good public policy is more expensive government spending programs that perpetuate a culture of dependency. And therein lies the Democrat Party’s problem. Government can no longer afford to be run like a charity with endless financial resources. Charities can’t even pretend to have endless financial resources. Government can no longer afford to maintain expensive charitable legislative policies that are designed to keep minorities voting for Democrats by making them dependent on Democrat sponsored taxpayer handouts. This is something that many minorities are waking up to. And while they may not necessarily be flocking to the G.O.P., they are beginning to understand that liberal Democrats are probably acting more in their own interests than an in the interests of the African-American Community. As for Herman Cain, there are many people of all colors who through his candidacy, are beginning to understand that big government is not a prerequisite for success. In Herman Cain, they see a self-made man, who has not allowed himself to use racism as an excuse or reason to believe that the government owes him anything. People see that Herman Cain is a man who said he will control his destiny and did so. In Herman Cain, many voters are seeing a man who can create an America that will get government under control and allow the people to control their own destiny’s too. That has become a novel concept these days, but the obvious failures of government due to big government liberal policies, has people of all colors understanding that they should probably stopt trying to rely on a bankrupt government andstart trying to rely more on their own ingenuity and abilities.